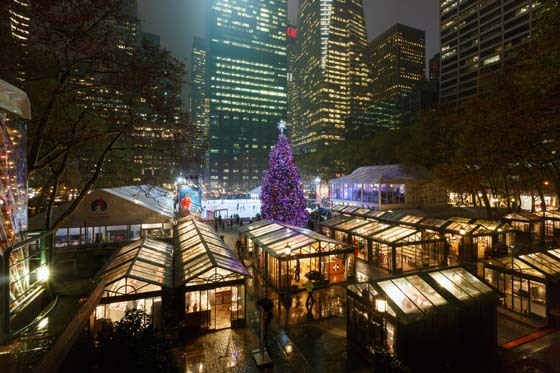 From an unseasonably balmy Christmas Eve to an equally balmy Leap Day with just a dash of Winter Storm Jonas mixed in, this season at Bank of America Winter Village has been full of surprises. The Holiday Shops delighted guests around the holidays while The Rink provided endless entertainment for kids and adults alike. 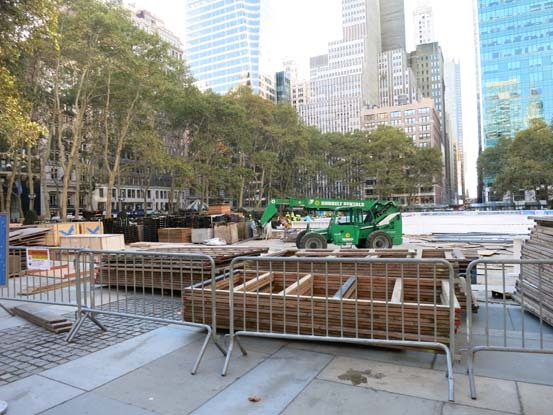 Thanks to our partnership with Bank of America, we were able to bring in some vibrant amenities to keep New York's Town Square lively throughout the winter months. Take a look below for a photo roundup of the 2015-2016 season. Post-lawn, pre-rink, The Holiday Shops are assembled on-site every year. 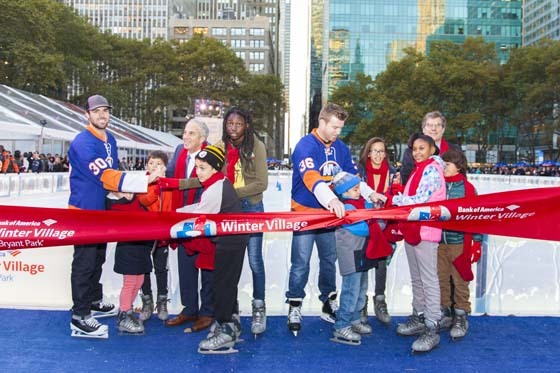 Opening Day saw a celebration with New York Islanders Eric Boulton and JF Berube along with our Winter Village All-Stars. Our youngest guests celebrated Halloween at Winter Village by trick-or-treating among the Holiday Shops. 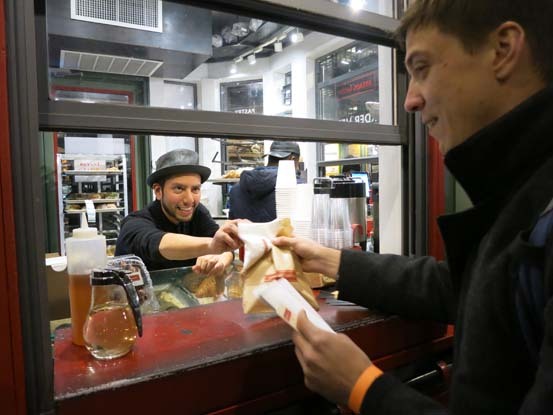 Tasting Tuesdays, along with Art Walks allowed visitors to explore the Holiday Shops through a curated tour experience. 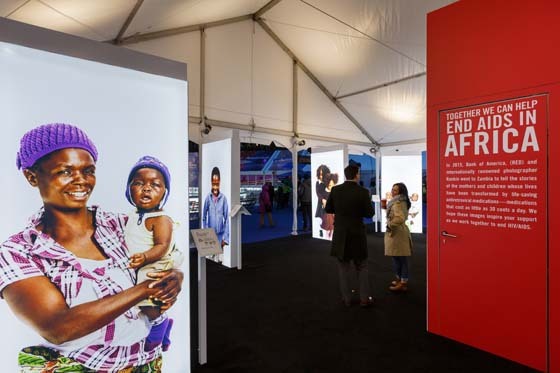 We were honored to host the (RED) photo exhibit by renowned photographer Rankin, showcasing (RED)'s efforts to the fight to end AIDS. 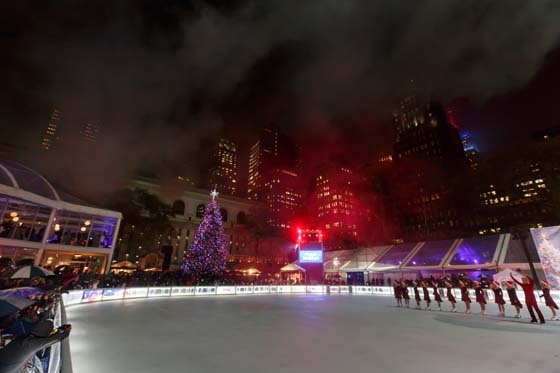 Our Tree Lighting Skate-tacular introduced a brand new Holiday show-on-ice custom written for Bryant Park that ties in a figure-skating showcase with holiday storytelling all culminating in the lighting of our Christmas Tree. The Holiday Shops featured artisans and vendors selling wares from puppets to massive scrap-metal sculptures. 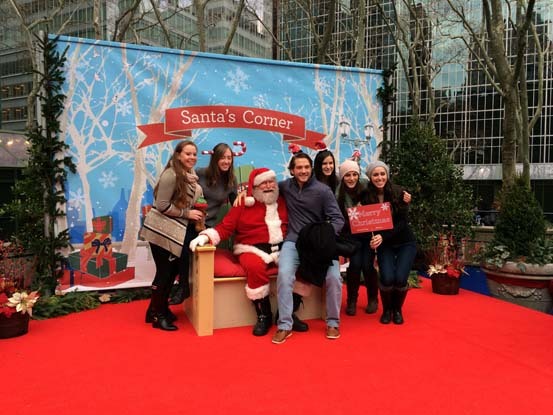 Santa's Corner gave the public an opportunity to snap free photos with the man himself just in time for Christmas. Winter Storm Jonas hit the park hard, but thanks to the hard work of our determined staff, we managed to clear the icy mess and get the park open again in no time. 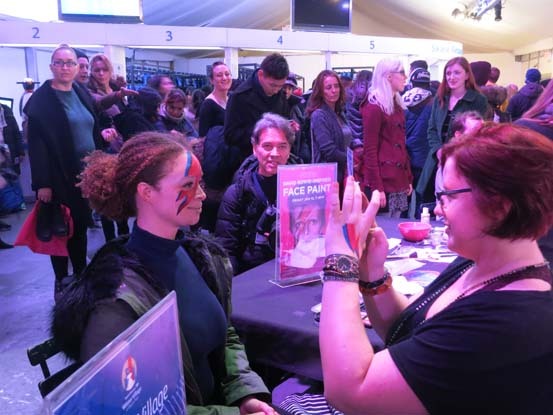 Following the passing of the legendary David Bowie, we found it fitting to host "Skate-Oddity" in his honor, inviting the public to join us for free Bowie themed face painting and a night of skating to hits from his discography. 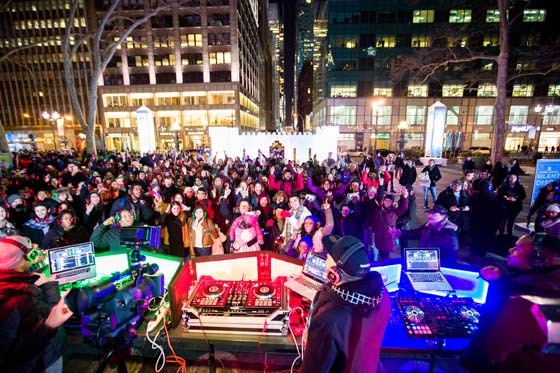 Our second annual Winter Carnival brought some mid-season cheer to the park with events like Silent Disco, Skating Showcase, Curling, Brew House, and more. 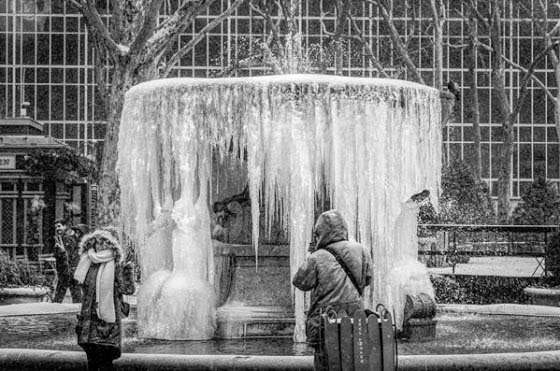 We brought back our annual Frozen Fountain photo contest and were dazzled by this amazing shot by Instagram user @innerexcellence. And of course, The Rink itself was the star of the show for much of Winter Village. Bank of America Winter Village will be closing 10pm Sunday, March 6, 2016. 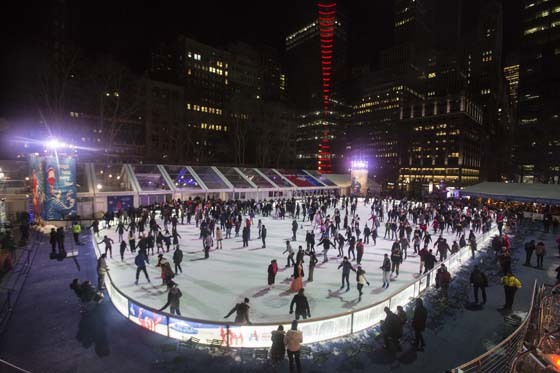 Many thanks to our partner Bank of America for helping us make Winter Village a huge success, and for bringing New York City's only free-admission skating rink to Midtown!